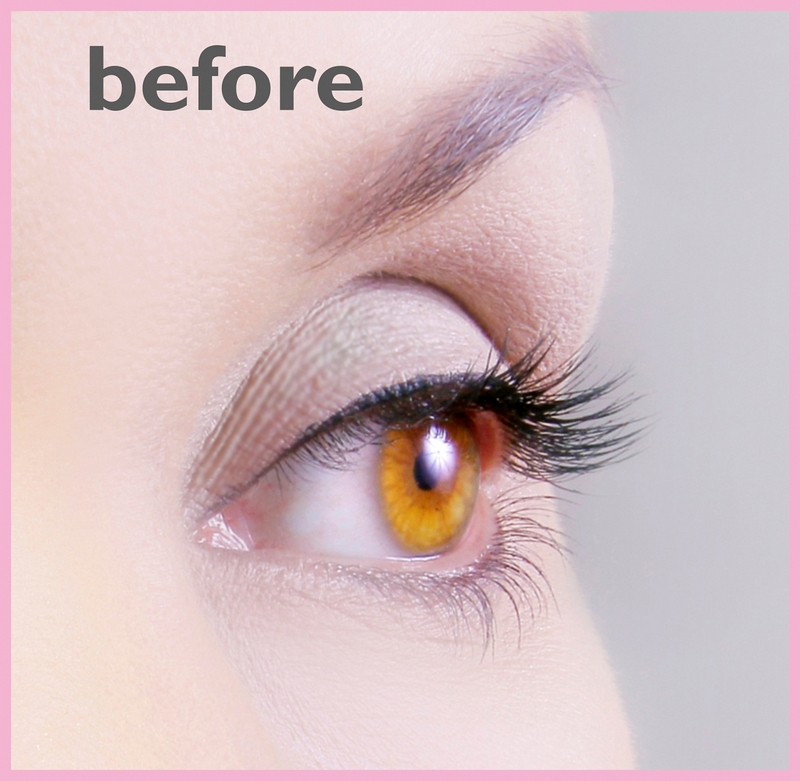 IMPORTANT: Complete all steps on one eye first, then start with the second eye. 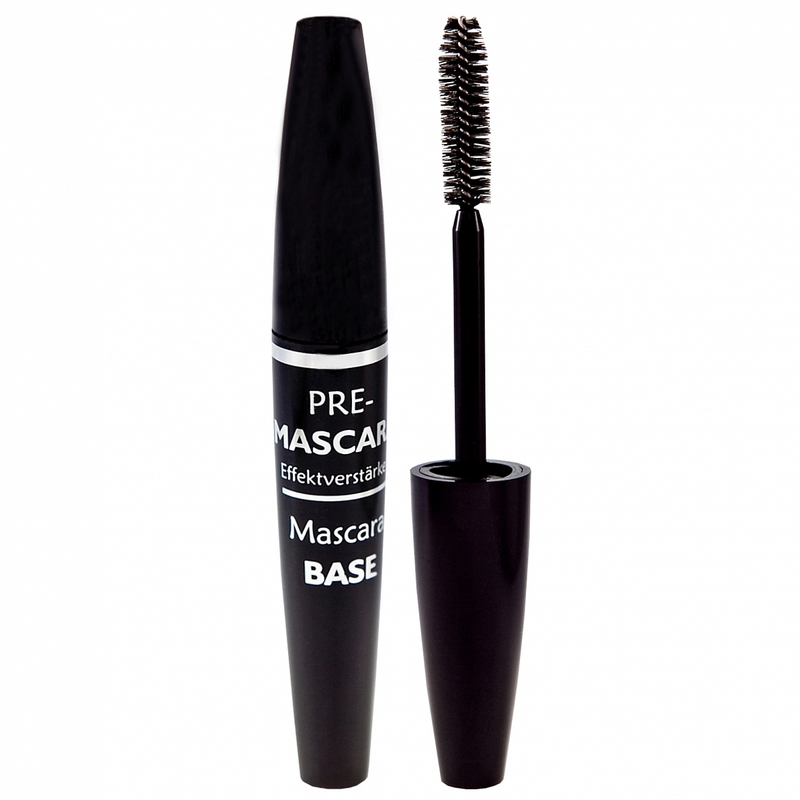 For best results we recommend to start with a Mascara BASE, e.g. 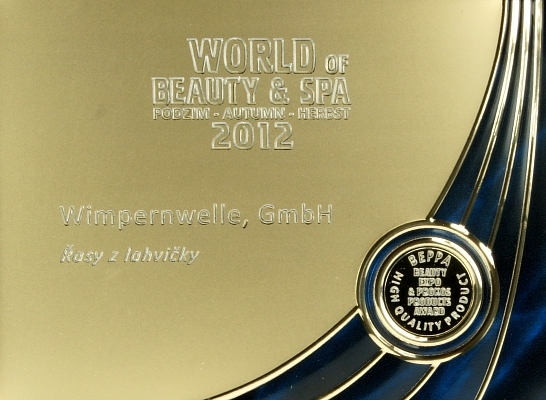 with the PRE-MASCARA by Wimpernwelle. 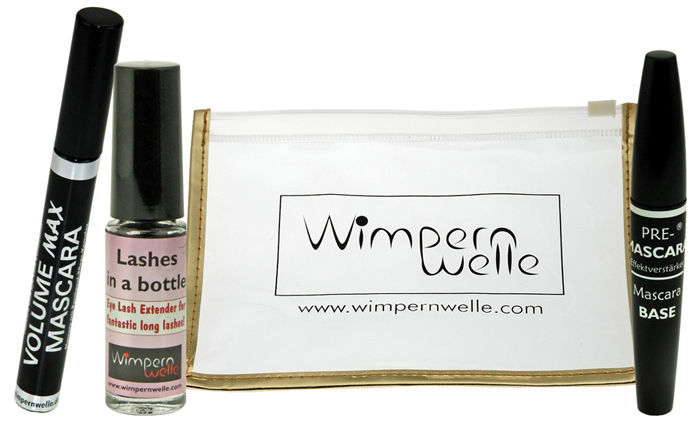 The eyelash extender fibers need the softest possible base to be worked into. 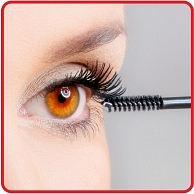 Use new and moist mascara generously. 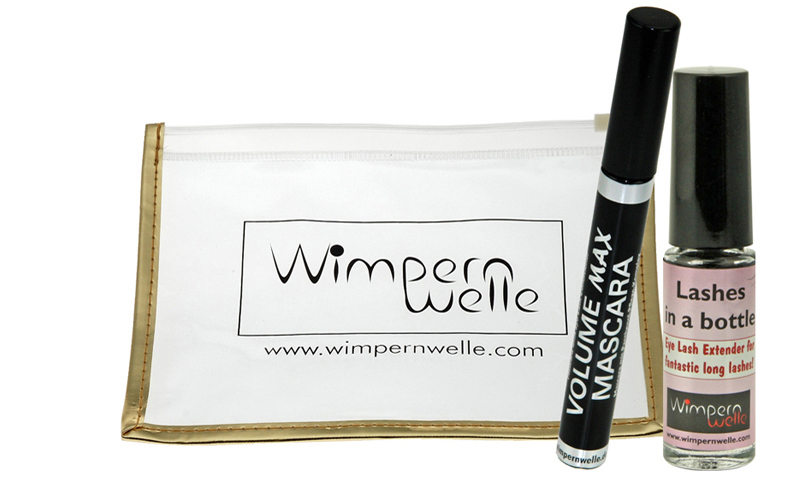 The more mass the mascara dispenses – such as the VOLUME MAX Mascara by Wimpernwelle – the better the fibers will stay on when applied. 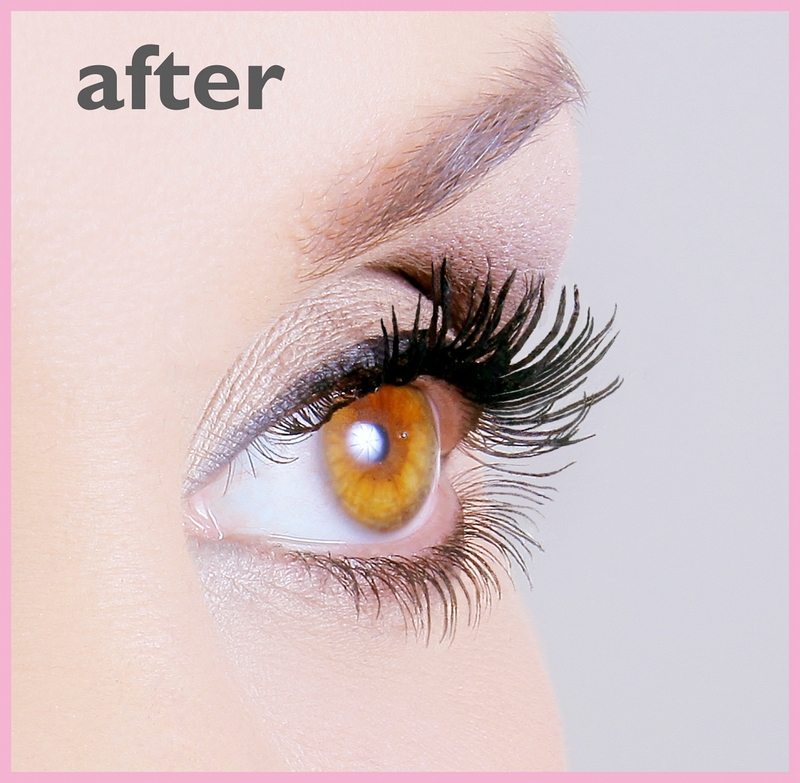 Starting in the middle of the lashes, apply the eyelash extender from above and below to the eyelashes previously coated with mascara. 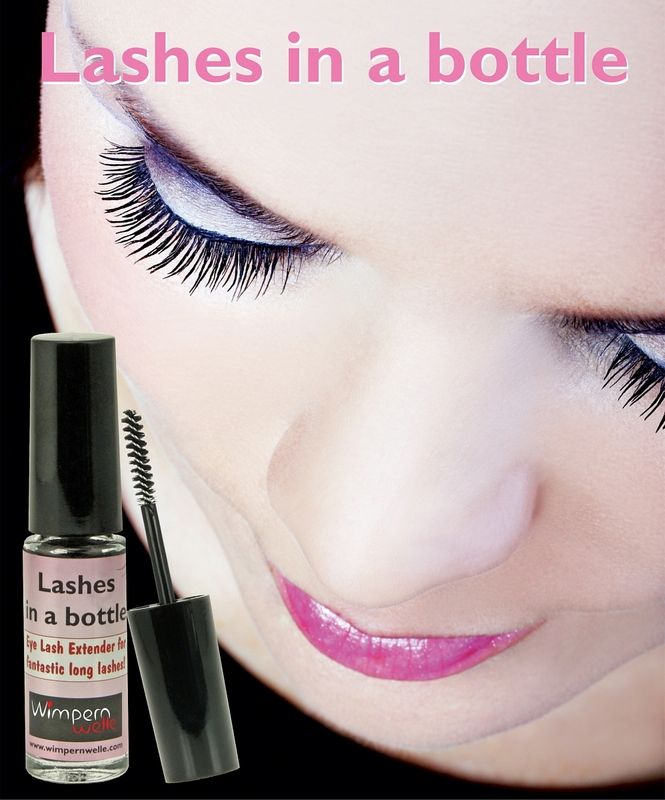 TIP: When opening the bottle for the first times some fibers might fall off the brush. However, this will cease upon further use. 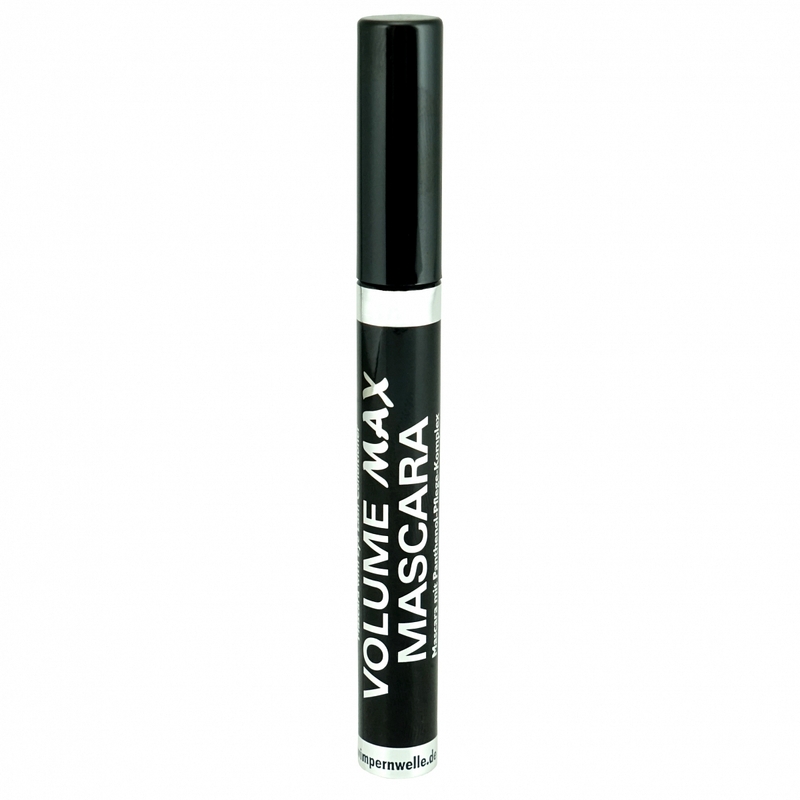 Thereafter, apply VOLUME Mascara once again all over. This will align the fibers and will complete the final fixing of the new extended length. TIP: For even more length simply repeat Step 1 + Step 2.